Starting your child in a new activity can be intimidating for our children and also overwhelming for parents. I’ve put together a short list of things that may help you understand a bit of what you may see and a few Academy guidelines that you should be aware of. 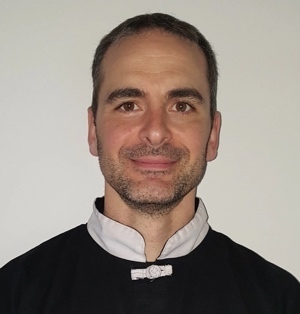 Sifu (seefoo) – Black Sash Instructor. Every Black Sash at the WKFA is referred to as Sifu followed by their firstname (ie. Sifu Jim). In any given class, there is at least one Sifu. The Sifu who is wearing a “white” top (T-shirt or Kung Fu top) is the primary instructor for that class. Any other Sifus in that class are there assisting. Sihing (seehing) is an adult male brown sash; Sije (seejay) is an adult female brown sash. Both are senior members of the WKFA leadership team, on their journey to obtain their Black Sash. Sir (male)/Ma`am (female) – Are designations used to address any other member of the leadership team that is helping out with a class; they are Adult Green sash (or Junior Blue sash) or above. Restrict cellphone use. Please ensure all phones are silent while in the academy and any phone calls are taken outside to help minimize the noise and distraction to the students. DO NOT stand at the top of the stairs by the railing. This is distracting to the class and also poses a safety hazard for people coming up/down the stairs. Parent’s waiting/viewing room is located upstairs and is the best place to view your child’s classes. Don’t “coach” your child while they’re in class. It is distracting to the entire class. If you wish to provide your child feedback on something you’ve observed during class, please wait until you see your child after the class is over. The Kung Fu bow is something you will see a lot. There are a few variations of it; a formal “long bow” that is used at the beginning of every class, the “short bow” often used at various points throughout the class, and an even more condensed version that just uses the hand positions “open left hand over right fist”. It is proper etiquette to bow to an instructor when you first greet them and each time a student enters and exits the training floor to show respect for the space they are training in. Uniforms: Once a uniform is acquired, it is expected to be worn to class clean and in good order (no rips, etc), with their belt/sash tied correctly. Also, t-shirts should be neatly tucked in. Being on-time for class. Class schedules are tight, and one class typically ending when another is expected to begin. Students are expected to be dressed, ready and signed into the class before the scheduled start time. 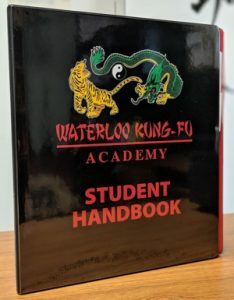 These items and many more can be found in the WKFA Student Handbook. If you don’t have one, please speak with Sifu David to acquire your copy.